Late in November of YC 116 an unexplained celestial object made its appearance throughout New Eden. Pointed in the general direction of Jove space, a large orange-red star seems to outshine all others. This latest celestial event is only the most recent in the long series of collapsing stars and unexplained phenomena that occur throughout New Eden. Much like all similar past events, this celestial phenomena is the harbinger of upheaval and change that will ripple across the New Eden Cluster. Towards the end of 109 and into the beginning part of YC 110 (The Winter of 2007-2008), a bright star was seen hanging in the sky. Planet-bound cities and capsuleers alike reported it visible to the naked eye. It had been originally speculated that the only event that could cast off as much light as the bright star in YC 109 was the Eve Gate. However, even the EVE Gate is only seen in a few systems, and not all of New Eden. Scientists from all major Universities across new eden began to pour over the scientific data that was being collected. In December of YC109 a science conference was convened in an attempt to discuss and discover the cause of the bright star. Kral Sangan of the University of Caille was the first to report that the bright star was not, in fact, a star at all. “The emissions and signatures,” he reported, “were inconsistent with any stellar activity.” Professor Joubrille, also of the University of Callie, continued with the same conclusion. Stating that it was “a perfect black body,” he went on to explain that there were no measurements that could be collected from the celestial body. Some floated the theory that it could be a ‘white hole,’ the theoretical opposite of a black hole. The fact that this object broke several physical laws was also something of a peculiarity for the scientist. Doctor Yeldrem Bane of the Renyn College of Astronomy was the most outspoken, stating that “The laws of thermodynamics may not be the only physical laws that are being violated by this object. If this object is two-hundred light-years away it would take two hundred years to reach us in the Federation, with a variation of several years depending on which system you are in. For its light to appear in every system in known space at the same time simply doesn’t make any sense. We’ve witnessed a physical impossibility!” Dr. Jahazer Simoon, from the scientific arm of the Sister’s of EVE known as the Sanctuary, hypothesized through mathematical calculations and triangulation that the light source was the visual representation of the EVE Gate collapse that occurred 3.64 million light years away. Of course, this theory received even less support, with critics citing the fact that the Sanctuary, and the Sisters of EVE, always brought everything back to the EVE Gate. The conference closed with no scientific consensus other than that it was an unusual event. While the scientists conjectured on what it could, or could not be, Saynen Grulliver, a shaman of the Vherokior tribe, mounted an expedition to the galactic rim towards the object. While most Minmatar Republic officials dismissed the enterprise, there was popular support among the civilian population. The Amarrians, of course, laughed at the foolish venture, stating that only death would be found. In March of YC 110, the bright star disappeared as mysteriously as it had appeared, after a period of only four months. The theory of a star being destroyed or intentionally collapsed was once again brought up by scientists and amatuer speculators. While no one in any empire had the technology, it was possible that the Jove or another ancient race were capable of such a feat. The exact reason for what was seen during that time is still unknown, and all communication with the Vherokior tribe fleet was lost shortly after the disappearance of the star. A year, almost to the day, after the disappearance of the star known as Bootini (Pronounced: Boo’Tee’nie or Boot’EYE-EN-EYE if you’re German), another celestial event rocked the residences of New Eden, known as the Seyllin I Incident, or Seyllin Disaster. On 111.03.10 communications began to be disrupted in and around the space of the Seyllin star. The first indication of an issue was with the “Cassandra” solar weather monitoring networks. This communication disruption continued to Seyllin I, the closest planet to the star. With an entire planet of inhabitants suddenly going quiet, the Gallente Federation mobilized for war, fearing that their long time rival, the Caldari, had launched a sneak attack. When communication was restored with Seyllin I, initial reports believed that a nuclear explosion had occurred on the planets surface. As more reports flooded in from all over the planet, it was soon determined that it wasn’t a nuclear explosion, but a solar radiologic pulse. Scientists from around New Eden once again worked on the possible causes for why a normal O-Class star, millions of years from nova, would suddenly start belching solar pulses. As panic spread across New Eden, and specifically Gallente space, the Federation Navy arrived in Seyllin to survey the destruction. In a joint news conference President Souro Foiritan and CONCORD Chief of Staff, Kivas Odaka, echoed the reports of the scientists claiming that a solar event had occurred, and that this was the cause of the devastation on the planet. Due to the high level of damage, the President forced the evacuation of the planet, using CONCORD and Gallente dropships on the darkside to begin collecting survivors. In an unusual turn of events, the Serpentis Corporation, typically seen as a pirate organization, assisted in the relief efforts on the planet. This action has lead many to speculative if the humanitarian mission of The Sisters of EVE, run by Santimona Sarpati, is rubbing off on her adopted brother and CEO of the Serpentis, Salvador Sarpati. While galaxy-wide humanitarian work was being organized for the survivors of Seyllin I, the Minmatar were organizing their own rescue fleets to recover their missing Lakat-Hro Caravan. This caravan had gone missing in the Great Wildlands shortly after the solar events in Seyllin, causing many to speculate that the effects of the solar event was not an isolated incident, but being felt in numerous locations throughout New Eden. More reports of communication disruptions came in as time went on, only further giving credit to the theory. At 14:35 Eve Standard Time (EST) all communication with Seyllin was lost and all stargates leading into the system were shut down. Quickly CONCORD ordered a blockade, unsure of what was happening on the far side of the gate, and even less sure if it was safe for anyone to travel there. With information blackouts in Seyllin, other reports across New Eden began to grab headlines, the missing caravan was reported destroyed, wiped out by a solar event that matched the one in Seylin. In all there were twenty similar events that occurred in unrelated parts of space. The Sisters of EVE, long known for their humanitarian work and study of the EVE Gate, reported the first detections of unstable wormholes throughout New Eden. It appeared that with the death of Seyllin, the fabric of space and time had been torn. A year after the incident, the joint scientific community released The Seyllin Report, a summary of the findings on the events surrounding the Seyllin event. The report reviews the twenty events that occurred throughout New Eden. Each event involved the large detonation of Isogen-5, releasing a new type of exotic matter with negative mass. It was determined that there is a clear link between Isogen-5, wormholes, and the alien races of Sleepers and Talocan. Four years after wormholes catastrophically entered known space, another report of an unexplained solar event arrived from the YFN-UH constellation in Syndicate. The event was of particular note as it did not match any known natural or artificially created phenomena. While the Intaki Syndicate were not initially forthcoming with any information, scientists for the Syndicate indicated that the event was ‘naturally occurring’ and common with the collapse of extremely unstable wormholes. However, Empire scientists disagreed with this view, believing that since the radiation pulses occur at regular intervals, and the pulses were extremely intense, it was more than likely man-made. A few short days after the report of an explosion in the Syndicate region, CONCORD requested the assistance of capsuleer pilots for something to be known as “Operation Spectre.” Initially it was unclear what the large fleet that formed in Sarum Prime would be doing. Many speculated that CONCORD was planning on making a final push at Sansha’s Nation. The Incursions through artificially created wormholes had long been a thorn in the side of CONCORD and the Empires. 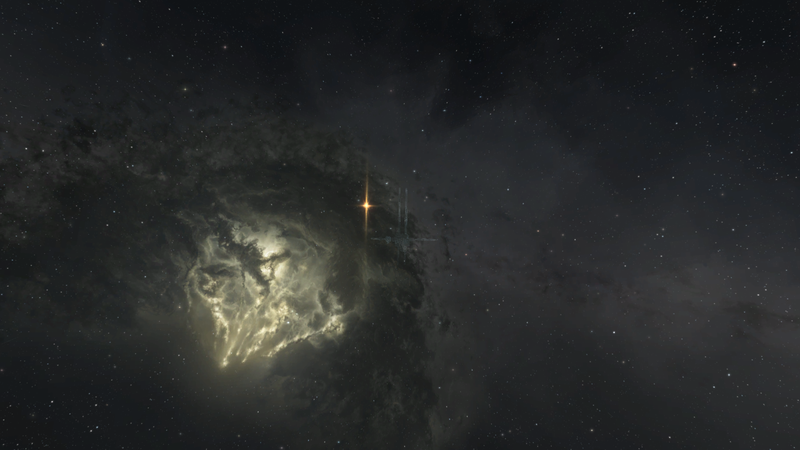 Despite the growing concern for Sansha’s Nation presence, CONCORD instead ordered the assembled capsuleer fleet to hit two targets: an Angel Cartel research outpost in Curse, and a Serpentis research outpost in Syndicate. While the two thousand member fleet left Sarum Prime with the best of intentions, those who oppose CONCORD and the empires, as well as third party mercenaries and thrill seekers, set about attacking the fleets on their large and arduous journey. For the Angel Cartel research station, only a small handful of pilots were able to survive the sea of warp disruption bubbles, and the large, five-hundred man gate camp in Doril. When the tattered remains of the fleet arrived in RMOC-W, there was little fight left, unable to cause much damage against the station. The allied commanders, Admiral Ren Karetta of the Amarr Navy, and Sami Okuuda of the Caldari Navy, both arrived in system, but were quickly destroyed by capsuleer pilots sympathetic to the Angel Cartel. 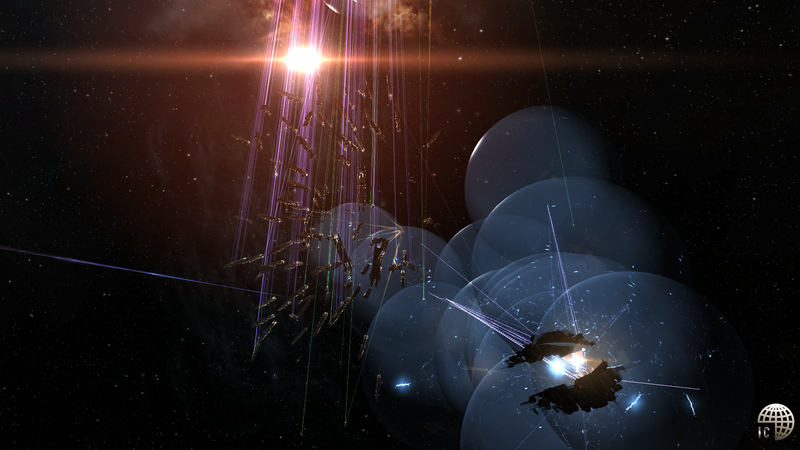 On the other side of EVE, the Gallente-Minmatar fleets fared little better. Even though the fleets were much less hindered, their arrival in 8V-SJJ was quickly met with the combined force of Vindicator and Machariel firepower. While deemed a complete failure, the capsuleer pilots were able to down a few escaping vessels and a few ‘blue boxes’ were recovered, though much of the research and scientists involved in the process escaped. It is impossible to say with any certainty what the scientists were researching, or what caused the radiological event in Syndicate. It is worth nothing that Sleeper drones have been known to be hoarding similar blue boxes to the ones pulled from the wreckage of the escaping pirate researchers. 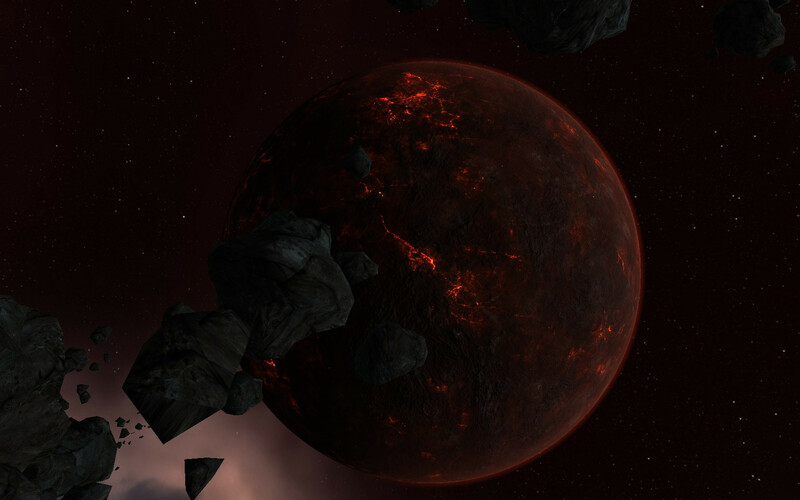 It is also worth nothing that the Serpentis Corporation, in part with the evacuation of Seyllin I, ended up with numerous eyewitnesses of the solar event. These missing persons have yet to be found. The super-nova celestial event that is currently visible is being called Caroline’s star after the original photographer, Caroline Grace, brought the image to the public. 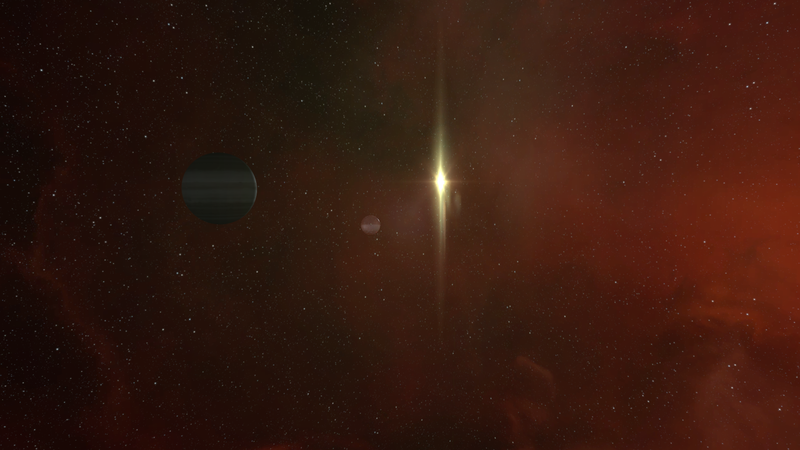 Unlike the bootini star, Caroline’s star is not equally bright across New Eden. The further ‘south’ one travels, the the smaller and dimmer the star appears. The farther ‘north’ one travels, the brighter the star looks. This has lead many to speculate that the celestial event occurred in the untraversable Jove space. With no gates leading into the private sanctuary of the ancient alien race, it’s uncertain to know what did occur. The sudden and peculiar arrival of the object that seems to defy space quickly drew the attention of capsuleers all across new eden. A collection of pictures was made available through the GalNet and other communication mediums. An interesting note is that Caroline’s Star can only be seen in known space. Travellers in wormhole space have reported not seeing the star at all. The current theory is that wormhole space exists at extremely long distances away from New Eden, while a few fringe groups believe that wormhole space may exist in a different dimension or time entirely. While most locations in wormhole space are unable to observe the celestial event, there is one Class 6 (C6) wormhole where the residents have always been able to see a similar sight. Informally known as Nova, this Class 6 wormhole’s star bares striking resemblance to the star everyone in known space has been discussing. 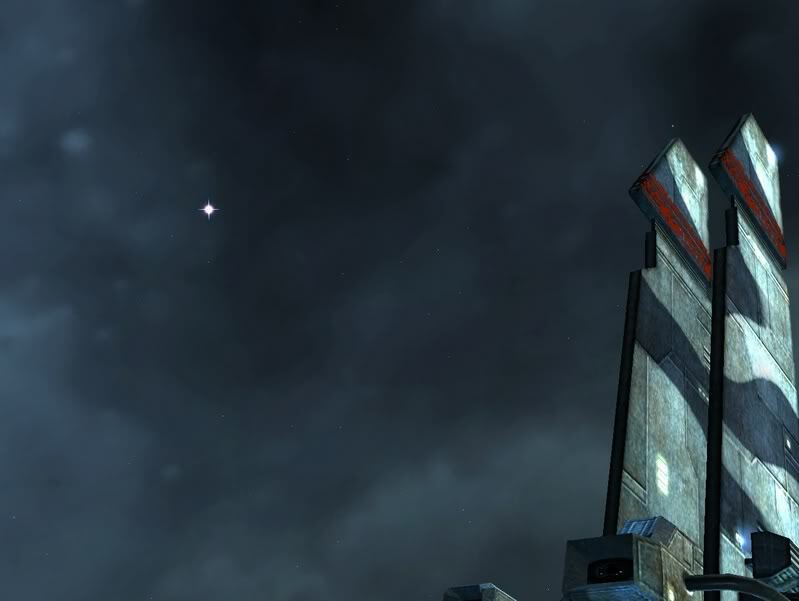 Nova became famous for its unique C6 properties of 100% damage, and has been the site of many fierce space battles, even garnering the attention of Rooks and Kings in Clarion Call 3. While reports state that no unusual activity has occurred in Nova, Anoikis, it’s possible that we are witnessing the birth of a new C6 wormhole. The fact that everyone in New Eden is seeing the same event, though not from the same vantage point, is a peculiarity that only the Bootini Star showed. As with the ‘Bootini Star’ event, numerous scientists have come forward with their own theories in an attempt to explain the strange occurrence. 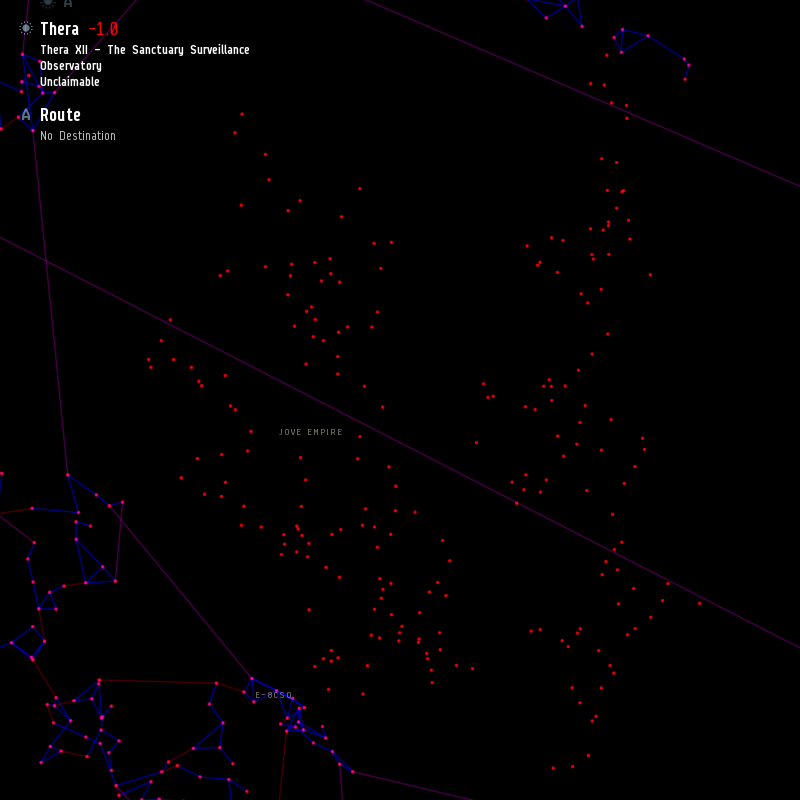 A number of accounts, both capsuleer and non, put the explosion in the region called UUA-F4. Also known as ‘Jovian Space,’ this region is completely inaccessible to capsuleer pilots. When the Jove retreated from the sight of man, they closed their gates behind them, sealing themselves off to deal with their Jovian Disease. As with the Bootini star, light seems to be travelling faster than itself, being visible to all parts of New Eden at once. Wolls Obrai, Professor of Astrophysics at Caille University, said “The information we’ve been able to gather from this anomaly is in some respects suggestive of a core collapse supernova, but there is simply no way in which the light would be visible in every system of the cluster. It is there. It is manifesting faster than light. It should not be possible.” Dr. Niils Cassira of the School of Applied Knowledge provided more conjecture as to the cause of the event, noting that known time and space behaves differently in the New Eden cluster. While many believe Jove space to be impervious, in YC 112 Sansha’s Nation was reported to be sieging the Prosperty Vault in the Jove System of 3-CE1R. Utilizing advanced, and unknown, wormhole technology, Sansha’s Nation had apparently sent a large capital and super capital fleet into the long protected space. The discovery came from a nemesis pilot of the name Mouse Nell, who launched a probe through the artificially created wormhole. While CONCORD was convinced that the station was the Prosper Vault in 3-CE1R, the visual signatures have led some to dispute the accuracy of this statement. Using historical information and images kept in the logs, Jovan Geldon theorized that the station that was truly under siege was in fact The Academy of Aggressive Behavior in HD3-JK. In an attempt to stave off the Jovian Disease, as well as to create combat pilots, the Jove scientists had turned to latent gene-therapy. By re-introducing aggressive behavior, and the animalistic nature of humans, the scientists hoped to stave off, or perhaps eradicate the disease. It could be possible that the Jove Scientists, attempting to collect specimens from Sansha’s Nation were double-crossed. It could also be that in an attempt to eradicate the Jove, the Sleepers shared wormhole technology with the rogue nation. While either reason is plausible for Sansha’s arrival in Jove space, their presence, along with the sizable capital fleet, has left the Empires in a state of unease. Current triangulation of Caroline’s Star points to the supposed location of VYX2-I, but the system of HDE-JK appears on the same tangent as VYX2-I, and is a more likely location for something to have occurred. The catastrophic event could be the destruction of the artificial wormhole generator that the Nation has been using heavily. Perhaps a solar event has seen the destruction of the entire Sansha Armada. The quick disbursal of the Sansha Incursion that had been occurring in the Constellation Oasa only adds to the theory that Sansha were evacuating Jove space. Sansha’s Nation forces typically enter and leave a system through their artificially created wormholes, whoever in Oasa they were reported to exit using stargates. Coupled with the proximity of The Drone Regions to Jove space, it can be assumed that what was thought to be an incursion by the Sansha’s Nation, was in reality an evacuation attempt before the catastrophic event. If the Sansha’s Nation are looking for safe harbor in the drone regions, they’re unlikely to find it. While filled with capsuleer pilots, the drone regions are also home to sentient rogue AI. Originally sealed in YC 86 after the loss of the Gallente Research mission ‘Spectrum Reach,’ the unexplained gate activations in TC 106 lead many to fear the return of the rogue AI that had destroyed the colony. Reports from the incident indicate that the worker drones at the main outpost had gone berserk, killing everyone they could find. These attacks weren’t isolated to the one station, but rather took place in all eight regions. For decades it was unknown what caused the drones to go rogue; many cited a form of Caldari virus, or a mechanical malfunction. While originally thought to be their own entity, the scientific community of the Arek’Jalaan have begun to theorize that the AI drones are in fact lesser Sleepers. If this is true, perhaps it was possible for a contingent of rogue drone, and Sleepers, to re-enter Jove space utilizing the same wormholes that Sansha’s Nation used. It has been impossible for capsuleer ships to make use of the artificially created wormholes, but it had been possible to send probes and drones through, as seen with the events of YC 112. In YC 106, CONCORD professed bafflement at how the stargates leading to the drone regions activated. Perhaps the AI Drones have, or have had, knowledge of Jovian technology for a while, but lacked a sense of purpose or direction. If the entity known as ‘the Other’ has infiltrated into rogue AI code, or if Sleepers have somehow tapped into the AI, such an event could occur, as understanding of the stargates is still quite limited. There are now reports that the reverse is occurring in Jove space, where hundreds of gates are being systematically shut down. While these reports are completely unfounded, it does give credence to the idea that the rogue drones, and possibly Sleepers, have invaded the ancestral home of the Jove. What did the Inner Circle really discuss at the wormhole summit? Had they discovered that the Serpentis and Angel Cartels were already working on sleeper technology? Did they know of the impending collapse in Jove space? What purpose are the Sisters of EVE really serving, after all they always seem to be in the middle of every celestial event that has occurred. Is it just part of their religious zeal for the EVE Gate, or are they planning something bigger?